I have been on the road traveling recently and apologize for the lack of posts! I went to Texas for a Marketing Summit and had some good BBQ along the way. Post coming this week on my trip to Austin. Let's talk about this outfit... It's flirty, fun and casual for just about any occasion. Did I mention that all my jewelry is under $20!! 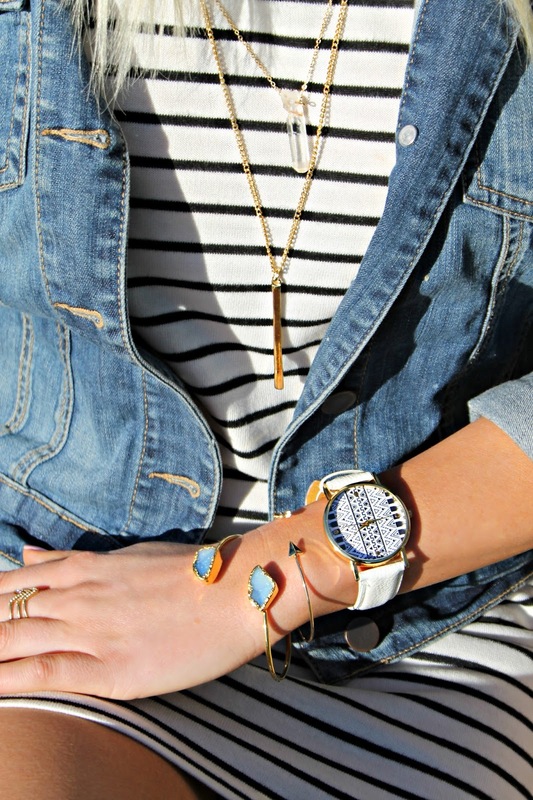 The Pynk Store has the BEST affordable and stylish jewelry. 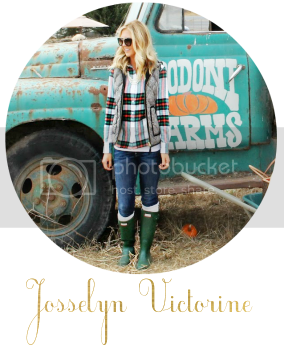 I adore the layered necklace and received so many compliments when I wore it. 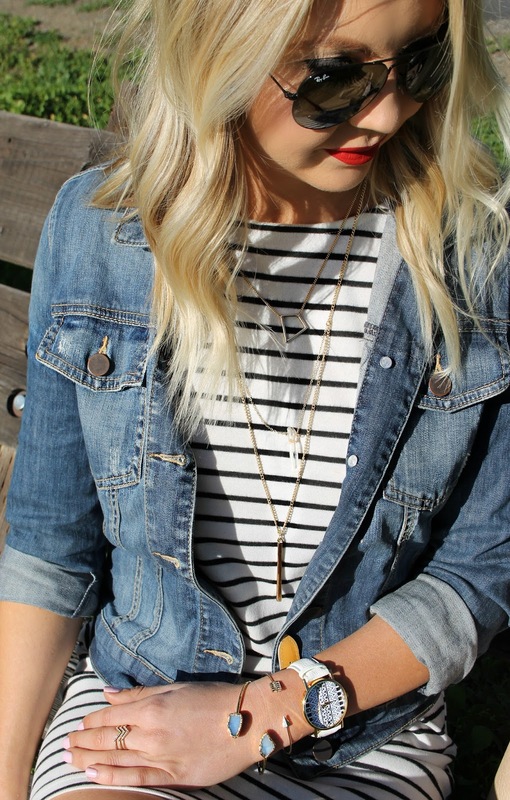 Also obsessed with this KUT from the Kloth jean jacket. I have been searching high and low for a denim jacket for spring and I finally found a keeper. It comes in a few different washes too! I'll most likely be getting the dark wash next. In the spirit of St Patty's Day, I thought I would share a quick and easy crockpot recipe. Crockpots are probably one of the most amazing cooking devices on the planet. Life changing even! My sister gave me mine a few years ago and I am in LOVE. I am obsessed with the concept of "set it and forget it". My favorite thing about it is I can put a meal in the crockpot in the morning and come home and dinner is hot and ready. It really doesn't get much better than that. Side note, I never thought I even liked corned beef until I tried this recipe. Since it slow cooks for 6-8 hours the meat is extremely tender and you don't even need a knife. I swear the cook time is the real game changer. Oh and so is the right mustard, I like this one from Trader Joe's. Just because St Patty's Day was yesterday, doesn't mean you still can't make this. In fact, I guarantee that if you head to the grocery store right now all the corned beef will be on major SALE. Even better right? Having said that, let's get cookin'! *I feel like this is a joke to right instructions b/c it is that EASY and fool proof, but here it goes. 6. Serve with your favorite mustard and some GREEN BEER! I just got home from a fun-filled three day weekend in Santa Barbara! We were celebrating one of my best friend's bachelorette party and we were lucky enough to get a full day of sunshine in while wine tasting at some of the most gorgeous tasting rooms tucked away in the Santa Barbara hills. I made sure to include a pick of our gorgeous group, 12 girls total! So special to have a getaway with all of them. Next up: WEDDING! It had rained the entire drive down and I did NOT pack for that kind of weather. I'm so glad the sun came out Saturday morning so that I could wear my new favorite romper from Nordstrom. Oh and did I mention it's only $48?! MAJOR steal. It also comes in this blue as well, which I am equally obsessed with *insert heart eye emoji here. I wore the romper with the best coral lipstick on the planet, Vegas Volt, by Mac. It looks a little intimidating at first (bright orange), but don't be afraid. The color pops perfectly on blondes and the texture is super creamy and applies well without a lipliner. Overall, the weekend was an absolute blast and it was so fun to get together with old friends and made some new ones along the way! What's your next weekend getaway?? I want to hear about it! 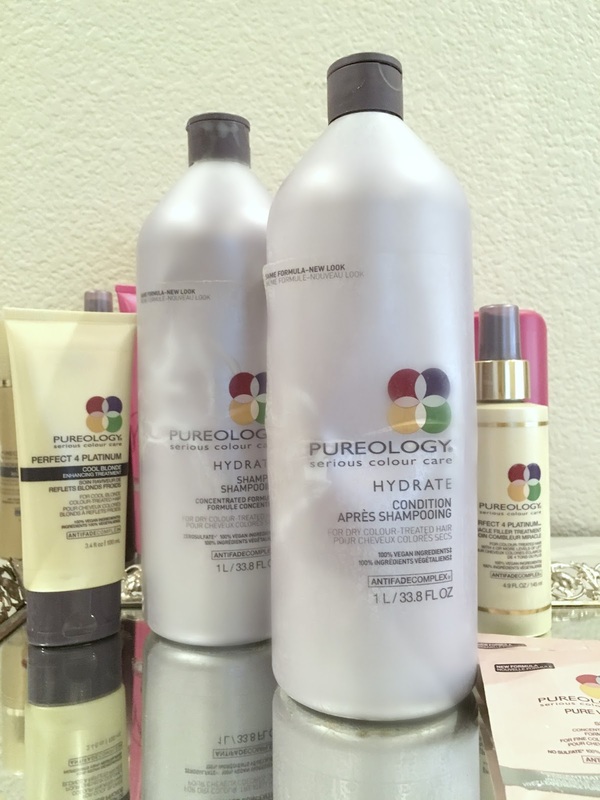 I have been using Pureology products for over ten years and it is hands down my favorite hair care line on the market! I wanted to share with you my favorite products of their's according to hair type/ style. I use all of these at home and all opinions are my own. My ultimate favorite shampoo and conditioner is the purple hydrate because it has a tingling mint sensation on your scalp. My second fave is the volume line- I have to use this when I have extensions in my hair. Every other shampoo/ conditioner that I have tried will take away the stickiness of the tape and will make them fall out. Trust me on this one, you don't want your extensions falling out 4 weeks too soon. So without further ado, here are my top Pureology products in order, #1 to begin! My bf and I have recently jumped on the zucchini noodle AKA zoodles trend and we are HOOKED. 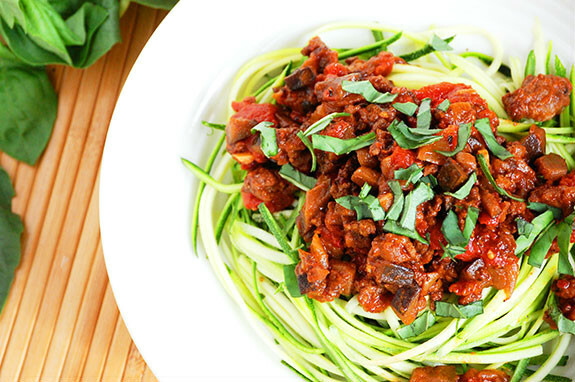 Zoodles are such a great, healthy alternative to traditional pasta and did I mention they are also delicious??! We just bought the Veggetti from Target and it's super affordable ($15.00) and easy to use. Saute them in a little olive oil with a a pinch of pepper and garlic salt and you are good to go. Today, I wanted to share how to bring your zoodles or traditional pasta to the next level with my very own bolognese recipe. It is simple, healthy and so good I guarantee you will be going back for seconds. I love to make extra to use as lasagna sauce and you can also freeze it for a later day. 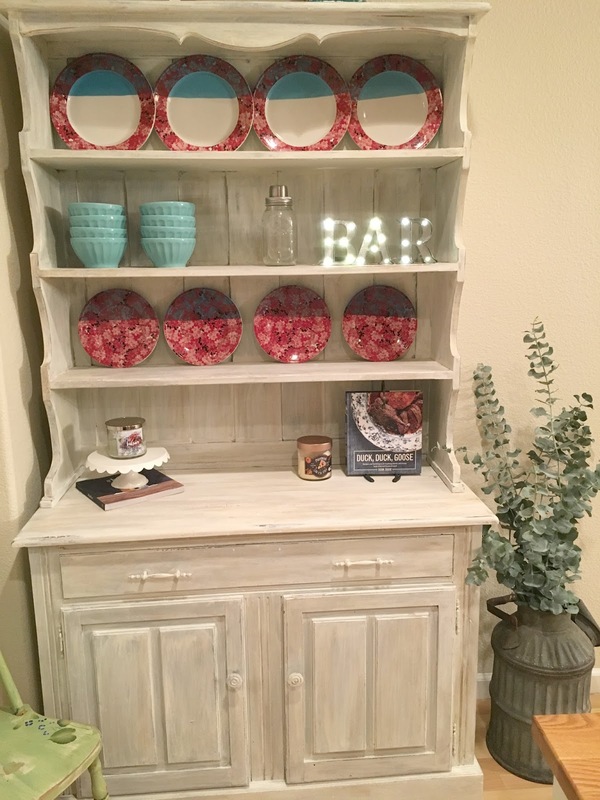 I'm so excited to share about my recent experience with Annie Sloan chalk paint. If you haven't heard of it, you are about to have your mind blown! This paint allows no prepping or priming of your furniture. You literally slap the paint on the furniture as is, saving hours of time that would have been spent sanding. Phew! That's my kind of paint. I spent last weekend refinishing two pieces of furniture, the kitchen hutch above and a giant dresser. I was able to do both pieces with the materials pictured. A little bit goes a long way with Annie Sloan, which is a good thing b/c it's a little bit on the pricey side. 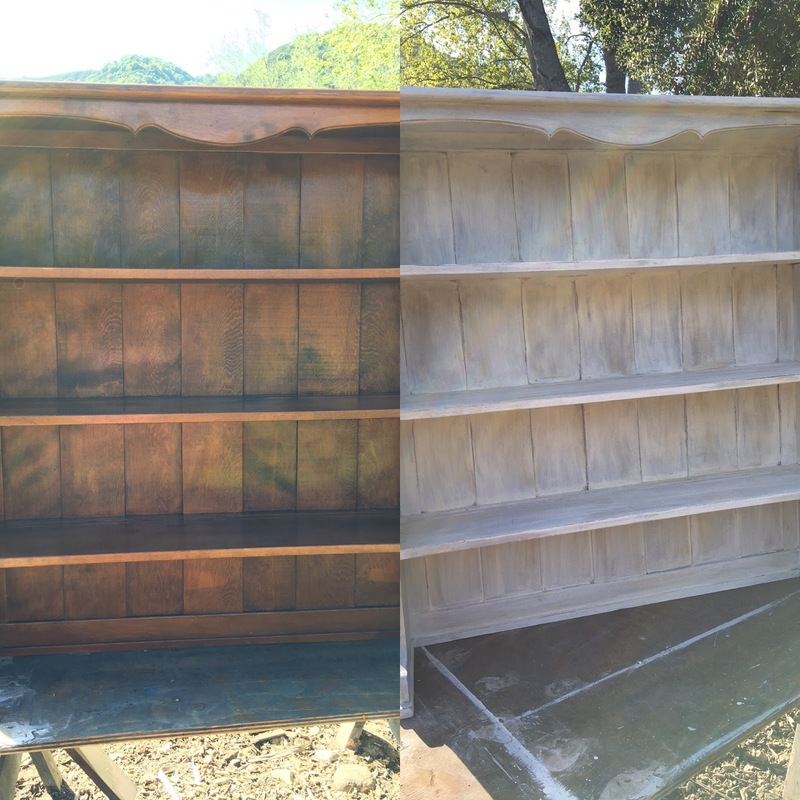 It is well worth investment and is perfect for creating an antiqued/aged look. I will start this tutorial with what materials you will need to get ahead of time. I found everything at a local store in Willow Glenn called Magpie. This paint is readily available though and can usually be found at your local Ace Hardware. 1 qt of Annie Sloan "Paris Grey"
1 qt of Annie Sloan "Old White"
3. Apply first coat of paint. I used "Paris Grey". The paint does not have to be perfectly even, as you will be applying a second layer. 4. Once the 1st coat dryer (literally within 20 minutes), apply the second coat of paint (I used "Old White"). 5. This step is VERY important. As soon as you apply the second coat of paint, take a damp sponge and wipe of the paint to create a peak through look. This will allow the grey to show through the white. 6. Once you are done, let the paint dry and then apply your clear wax all over the entire piece of furniture with a lint free rag. 7. Take a bore bristle paintbrush and apply the dark wax where you think necessary. Once you apply the dark wax, wipe it off with a clean rag. This is the scary part because the wax is dark and will change the color of your furniture. This is also the best and most crucial step because it really gives it dimension and creates aging. 8. When you are completely done waxing, go through and hand sand pieces of your furniture with a find sand paper. San areas that would normally get lots of wear and tear. I can't wait for you to try this at home! It's so easy and can really transform any piece of furniture. I should mention that if you "mess up" with the wax, don't panic! Just go over it with the sand paper and it will literally come right off. Let me know if you have any questions at all on this process!